This time the spotlight will be shining on Sky Steel – Heavy Wings, a complex, stylish and quite explosion-heavy SHMUP. Let’s see if we can’t help it escape the cold emptiness of Greenlight limbo, eh? In Sky Steel you control 2 Wings to carry a energy core. You can change the Wing Formation at any time to fire anothe weapon type. Each Wing formation has own permanent upgrades and skill points to assign. You can combine and upgrade your Wing in many ways to play the way you like it. In open Wing Formation-C as example, the energy Core itself fires a laser beam in both directions. In this formation you can evade enemy fire, reach targets behind you or defend yourself from targeting missles. All firemodes have special benefits that can be combined during gameplay. See? Complexity. Well, more than that of your average genre entry, anyway. 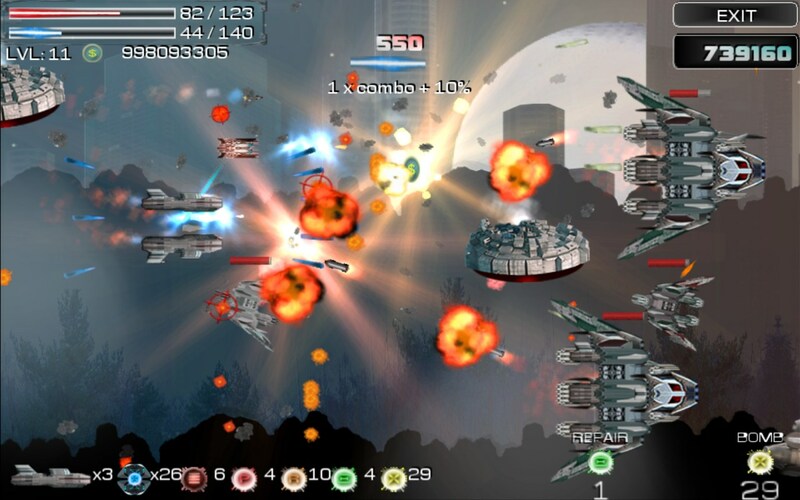 Looks darn good too, although that’s hardly a rarity these days for SHMUP and bullet hell titles alike. What does make it stand out from the crowd however, and in turn, made me spotlight it in this week’s Greenlight Limbo, is the level of intensity and gameplay variety brought by the upgrade system, along with… well, that pacing. Not that you’ll be blasting left-to-right at several thousand miles per hour mind you, but there’s no doubt that the dev feels the need for speed! Oh and you get to colonize planets (wait, what?). So riddle me this, dear reader: why is Sky Steel – Heavy Wings still struggling to get through Greenlight? It’s not out just yet, but hopefully it will be sooner rather than later. In the meantime, why not visit its Greenlight page and hand over a ‘yes’, if you like what you see? Remember: your vote matters!